The U.S.-led war in Iraq continues to not only dig up its share of political deceits, but it is also turning up new insights. Former Defense Secretary Donald Rumsfeld, a major architect and staunch defender of the U.S. preemptive war against Iraq, is now solely blaming then-President George W. Bush for the military debacle in Iraq, including its near collapse. 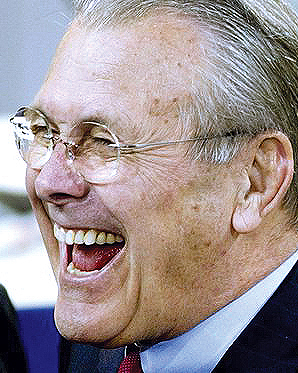 In an interview with the Times of London, Rumsfeld claimed that Bush was wrong to try to create democracy in Iraq. While it is easy for some to criticize the preemptive war in hindsight, or a confirmation for those of us who had enough foresight to criticize the U.S.-led war in Iraq, a more troubling issue remains: the Big Lie and simplicity of mind. 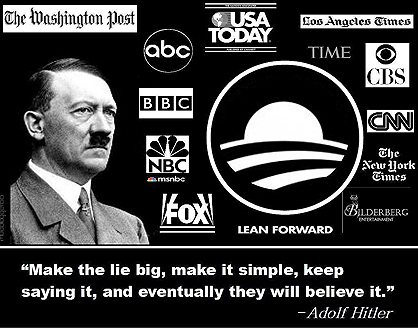 The source of the oft quoted Big Lie is found in Adolf Hitler's "Mein Kampf," where he described the use of a lie so "colossal" that no one would believe that someone "could have the impudence to distort the truth so infamously." 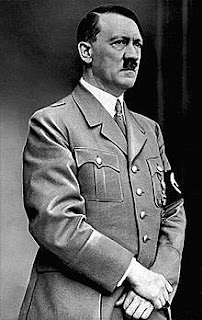 But what is often omitted from Hitler's Big Lie is the preceding phrase: "...and thus in the primitive simplicity of their minds they more readily fall victims to the big lie than the small lie." In other words, the Big Lie is caused by "primitive and simplistic thinking voluntarily believed by the broad masses of a nation." 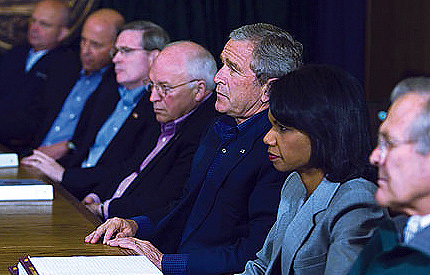 For Rumsfeld, the Big Lie was actually a series of Big Lies caused by simplistic thinking. 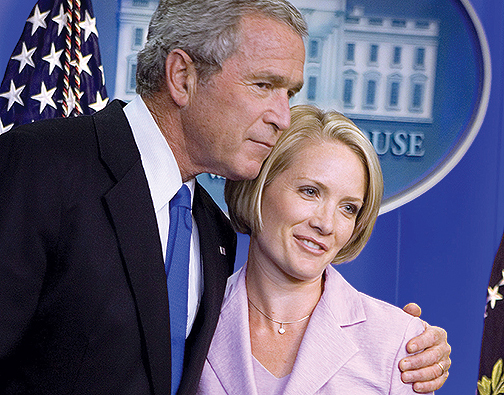 He wrongly linked Iraq with the Sept 11 attacks and assisted in "fixing the facts" to mislead the public that Iraq had weapons of mass destruction. He mistakenly thought an Islamic nation would embrace U.S. occupation forces, an unethical corporate-dominated economy, and an illiberal democracy. 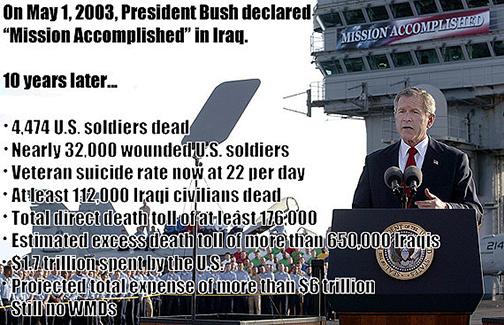 But the primitive simplistic thinking which caused his Big Lies runs deeper than the 2003 preemptive war against Iraq. Rumsfeld belonged to the Nixon Administration, which continued a genocidal war in Vietnam and secretly invaded Cambodia and Laos. After directing the deadly 1989 U.S. invasion of Panama, where 5,000 civilians were killed, he supported the Project For a New American Century. But elite, primitive and simplistic thinking leaders like Rumsfeld who continue to lie to themselves, shirking all responsibility and accountability for their genocidal war crimes, bare only partial responsibility. Again, the Big Lie can only exist where the broad masses of a nation voluntarily embraces it, when it, too, is internalized by the primitive simplicity of the mind and thinking processes. Since there are many sources for the mind's thinking processes and the points (or point) of view, such as time, culture, religion, gender, discipline, profession, peer group, economic interest, emotional state, social role, age group, or experiences,(2) it is important to be an active thinker, to think about our thinking and analyze its ego- and ethnocentric entrapments. In other words, active and critical thinkers go beyond primitive and simplistic thinking methods, something which requires intellectual humility and overcoming a threatened self-image. They adequately think about and critically analyze the information they attain, along with the meanings and perceptions gleaned from such mindful information. Furthermore, and to avoid activated ignorance, complex thinkers try to understand and experience as many things, events, people, and situations as possible. This habit of reconstructing the points of views of others helps prevent the potentialities of false ideas, illusions, misconceptions, and the Big Lie. It also avoids needless injuries and sufferings, even war crimes and genocidal acts. 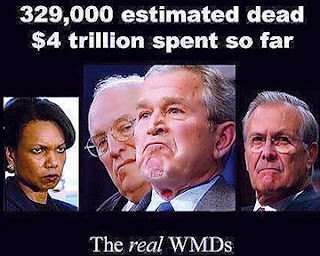 It is obvious that Rumsfeld lacks many of the qualities of an active and critical thinker. Due to his-and others-primitive simplicity of mind, he and the Bush Administration were never able to formulate a coherent foreign policy. Sadly, an entire nation was either willingly or forcibly stampeded into an unrealistic state of complacent thinking. The origins of "messy democracies" always start in the templates of the mind and its thinking processes. Unfortunately, it can have devastating consequences as is now being realized throughout much of the Middle East. Not only did thousands of U.S. troops die in Iraq, costing the U.S. trillions of dollars, but millions of Iraqis have either been killed or have become refugees. Still, the preemptive war has spread to other nations and groups. In the interview, Rumsfeld offered up another Big Lie when he said, "The idea that we could fashion a democracy in Iraq seemed to me unrealistic," which clearly displays a threatened self-image and the inability to admit mistakes were made and lies were committed. Joseph Goebbels, Hitler's Director of the Ministry of Propaganda, later elaborated on the Big Lie. He wrote that leaderships did not depend on particular intelligence but rater on a remarkably stupid thick-headedeness. For Goebbels, then, when one lies, one should lie big, and stick to it even at the risk of looking ridiculous. (3) Is the same also true collectively, or as a nation? Not only does simplicity of the mind lead to Rumsfeld and Hitler's Big Lie, but so does unyielding and irrational stubbornness. In the meantime, President Barack Obama is sending more ground troops back to Iraq where he plans to build and maintain another base of operation. Does the Big Lie also include failed strategies? (1) www.bloomberg.com. 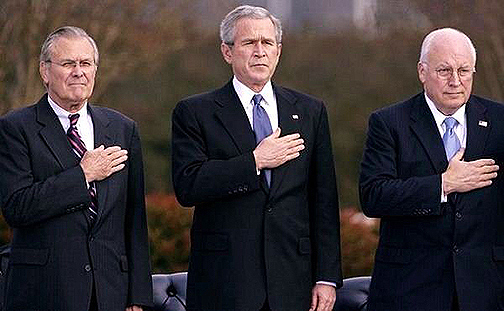 "Donald Rumsfeld: George W. Bush Was Wrong About Iraq," by David Knowles., June 8, 2015. (2) Paul, Richard and Linda Elder. Critical Thinking: Tools for Taking Charge of Your Professional and Personal Life. Upper Saddle, New Jersey: Financial Times Prentice Hall, 2002., p. 94. (3) www.wikipedia.com. See "The Big Lie."